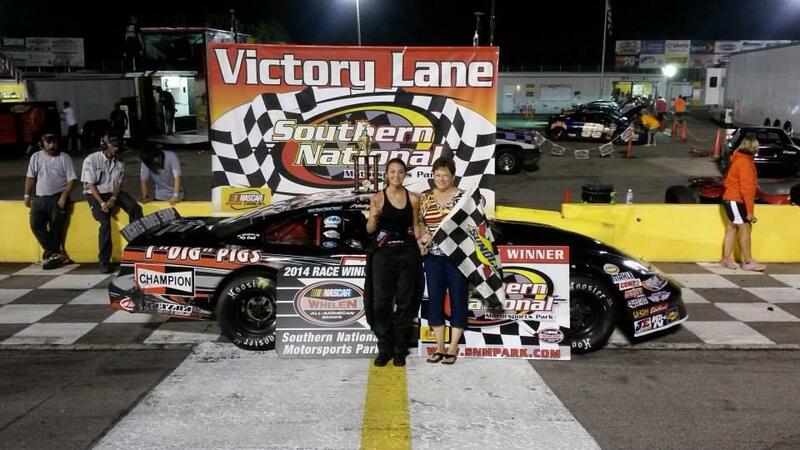 This week we stay in the Limited Late Model division, as well as in the state of North Carolina and catch up with current Southern National Motorsports Park LLM points leader Haley Moody. I want to give you a closer experience with this young driver than you have had before. Come on in and get to know this young lady who in my opinion is on her way to making a huge name for herself down in Carolina. “My Dad always had a car so I basically grew up around it,” Moody said while speaking on what sparked her interest in the sport. 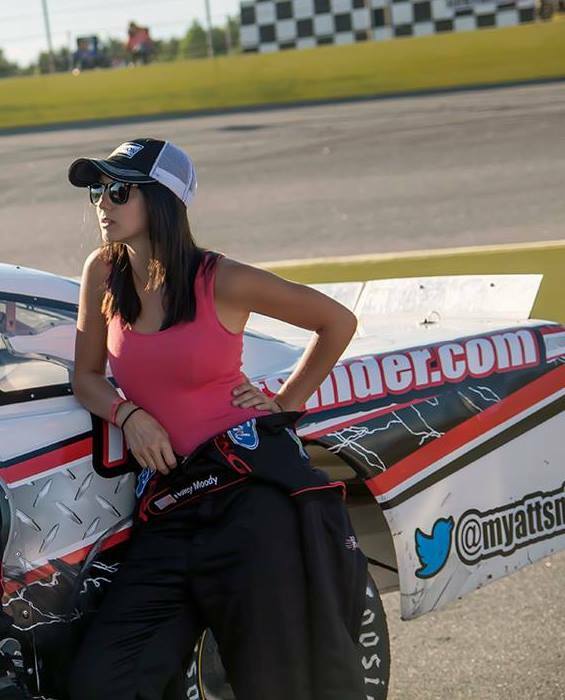 “I was always at the track with him whether it was in the pits or the stands.” Maybe she wanted to keep it in the family or just maybe it was actually in her blood, but ever since Haley Moody was little she knew she wanted to strap into a race car. 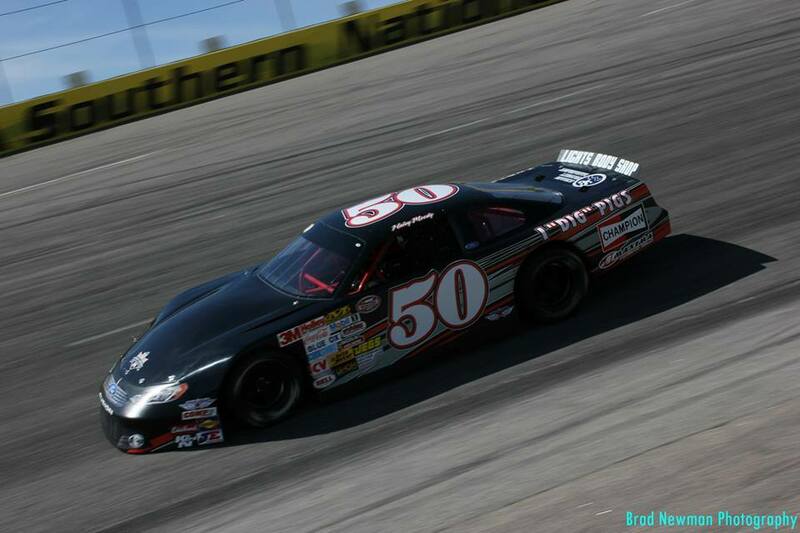 At the ripe ole’ age of 15, Moody made her racing debut in 2010 in the 4-Cylinder division at Coastal Plains Raceway in Jacksonville, North Carolina. “The first race I drove in I won!” Haley would go on an capture two more wins that rookie season for a total of three while finishing the rest of the races on the podium… at the age of 15! She was winning racing that she could barely drive her self to! To some Hayley Moody is your average young adult growing up in this world trying to make something of her self, to others she’s that hero other young ladies look up to and maybe even want to try and be one day. Make sure to check out the interview bellow and get to know a little more about this talented young lady. Hayley is currently holding on to a 38 point lead over Dillon Spain after a disqualification was over turned by track officials with just three races left in the season. If you would live to see her run her final two points race of the season head out to Southern National Motorsports Park tonight (9/13)! Gates will open at 2:00 PM, Qualifying at 5:00 PM, Racing to start at 7:00! I never leave home without my phone, wallet, and keys. Do you have favorite quote? My favorite quote would have to be Mark 9:23…All things are possible for him who believes. What was/is your favorite subject/class in high school? Why? My favorite subject would have to be English because we had an awesome teacher. NCIS, Law and order, Criminal Minds. Stuff like that. If you and one person could go anywhere in the world for one week, all expenses paid, where would you go? Who would you take? I would take my best friend and we would go to a beach somewhere. Do you have any animals? If so what kind and their names if you don’t mind sharing? I have one horse named Doc. I’m addicted to sweet tea! Country music is where it is at.